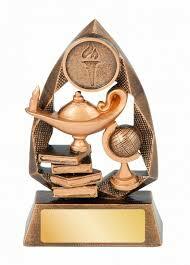 UNDERSTAND THE DIFFERENCES IN EDUCATION AWARDS IN NIGERIA BEFORE GOING FOR ANY. As a beginner or fresh admission seeker, you may want to know what the differences among these terms or acronyms. It’s important to know these, really not only for conversation reason but also for you to get the real meaning of each, what they stand for, what forms their admissions take, the statutory purpose behind each and most importantly for you to know - which one to go for. In full, Bsc is Bachelor of Science. This term is used for a degree or university award. You earn Bsc after completing a 4-year or 5-year course in any university. More so, terms like B. Tech, BSc (Ed) are the equivalence to Bsc. They are also degree awards – just a difference in courses or disciplines. While B. Tech is for graduates of engineering and technology related courses, BSc (ED) or B. Ed is for graduates of education courses. Graduates of Law are awarded LLB and Medical graduates MB. Others include BSN for nursing graduates, B. Pharm for pharmacy graduates, B. Agric for Agriculture and related courses. Generally, to gain admission into any Nigerian university, you’ll have to make your way through JAMB UTME which is a major requirement to gain admission to any course of your interest together with right SSCE grades. After passing UTME, you may be subjected to Post UTME or admission screening before you can be given admission by JAMB and proposed institution. Your years or duration of studies depends on the prospective award. Majority of degree courses last 4 years, Agric courses - 5 years, Nursing - 5 years, Medicine – 6 years, education – 4 years, Law – 6 years (with one year Law school), Pharmacy – 6 years (with one year internship), Engineering and technology – 5 years and so on. Note that, gaining admission to any of the courses listed and more, may also be preceded with a year pre-degree course or sometimes A’level Advanced courses like IJMB, JUPEB and Cambridge A’level. After completing these advanced programmes, you can then take UTME (if pre-degree) or Direct Entry form (if IJMB, JUPEB or Cambridge A’level). Through this, you are offered admission for any university course of your choice. NCE is the award given to graduates of colleges of education. Generally, after a three-year course at a college, a graduate is awarded NCE. Admission procedures to colleges are the same as for the universities. You write your UTME and take part in the post UTME or admission screening. Then you’re given admission for your proposed course by JAMB and the college. A graduate of college can end up spending 4 years for his course if he has undertaken a year pre-NCE course before 100 level admission. After completing your NCE, you may continue to a University of your choice through JAMB Direct Entry admission exercise. Here, you obtain DE form and choose one or two universities you’re interested in. If you meet up with the required grade from your NCE programme, JAMB and the school will give you admission. Meanwhile, as NCE holder you don’t just choose any course during your DE registration, you choose the one(s) that align with your completed NCE course. For example, if you studied Biology/Chemistry in the college, you may only be able to propose Education Biology or Chemistry Education. Completing this will award you Bsc (Edu), B.Ed, or B. Edu. A few schools may also allow you to do pure courses like Chemistry or Biology which will award you Bsc at the completion. Consider checking JAMB brochure specific requirements by universities. Generally, it will be easier to gain admission to only education courses. OND or ND is a polytechnic award for a two-year course. To gain admission for ND award, you must obtain JAMB UTME form and take part in the post UTME or admission screening exercise of the school. If you pass, you’ll be given admission to ND 1 of your proposed course by JAMB and the school. Another mean to gain ND admission is through school administered daily part-time programmes. This course is usually run as full-time, perhaps, with cost difference. When you complete your 2-year ND course at any polytechnic, you’re awarded ND. This serves as the prerequisite to further your education to the university through JAMB direct entry admission (as earlier explained). You can also further to another level at your polytechnic or any other. This level is called HND. HND is also run for two years as well. Whereas, it’s being proposed that Nigerian polytechnics will henceforth be limited to the award of ND only. Hence, candidates who wish to study further can obtain JAMB direct Entry form and cross to universities – where they continue from 200 level. HND is the award given to a polytechnic graduate after completing a 2-year ND, 1 or 2 years Industrial Training (IT) and 2-year HND course. Note that the HND course doesn’t require writing UTME again or obtaining JAMB direct entry form. Applicants are only to take part in the school’s organized entrance test and interview or screening. This programme is about to be scraped (if not by the time you’re reading this post). Yet, the award will be forever recognised by the government and private establishments who may need the services of an HND holder. Several posts had been written on this category of qualifications. To learn more about each, consider reading the post, "IJMB, JUPEB and Cambridge A’level: Opportunity to Gain Admission directly to 200 Level"
The summary of this is that, completing any of the above equates you with ND or NCE. Hence, youre qualified to obtain JAMB Direct Entry form into to proceed to any of the universities accepting them. Nigeria education detail is rich in awards. There are more postgraduate and professional awards too – including Msc, MA, ICAN, NIM etc. Going to school requires you know the end from the very beginning and here you have it all.